In their effort to build the world's first and largest commercial green rooftop farm, the founders of Brooklyn Grange learned a lot about building and sustaining a business while never losing sight of their mission-to serve their community by providing delicious organic food and changing the way people think about what they eat. But their story is about more than just farming. It serves as an inspirational and instructional guide for anyone looking to start a business that is successful while making a positive impact. In The Farm on the Roof, the team behind Brooklyn Grange tell the complete story of how their 'farmily' made their dream a reality. Along the way, they share valuable lessons about finding the right partners, seeking funding, expanding, and identifying potential sources of revenue without compromising your core values-lessons any socially conscious entrepreneur can apply toward his or her own venture. 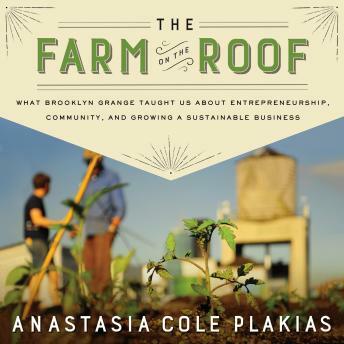 Filled with colorful anecdotes about the ups and downs of farming in the middle of New York City, this story is not just about rooftop farming; it's about utilizing whatever resources you have to turn your backyard idea into a sky-high success.